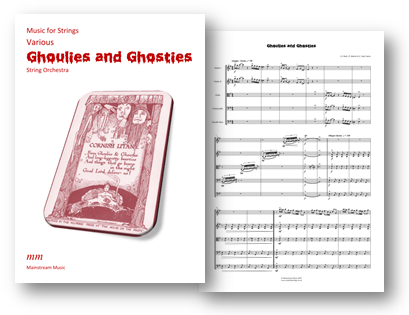 Inspired by the short poem ‘Things that go Bump in the Night’ and including music by Bach and Saint-Saens, makes this ghoulish romp for string orchestra/quartet an ideal choice for the Halloween season. The PDF contains a part for violin III, doubling that of the viola. Click here to listen to a recording of the piece. Click on the image below to visit the score's page.